Back by popular demand, the mythical unicorn. This soft pink one features a brushable rainbow mane and tail (on wide elastic band). 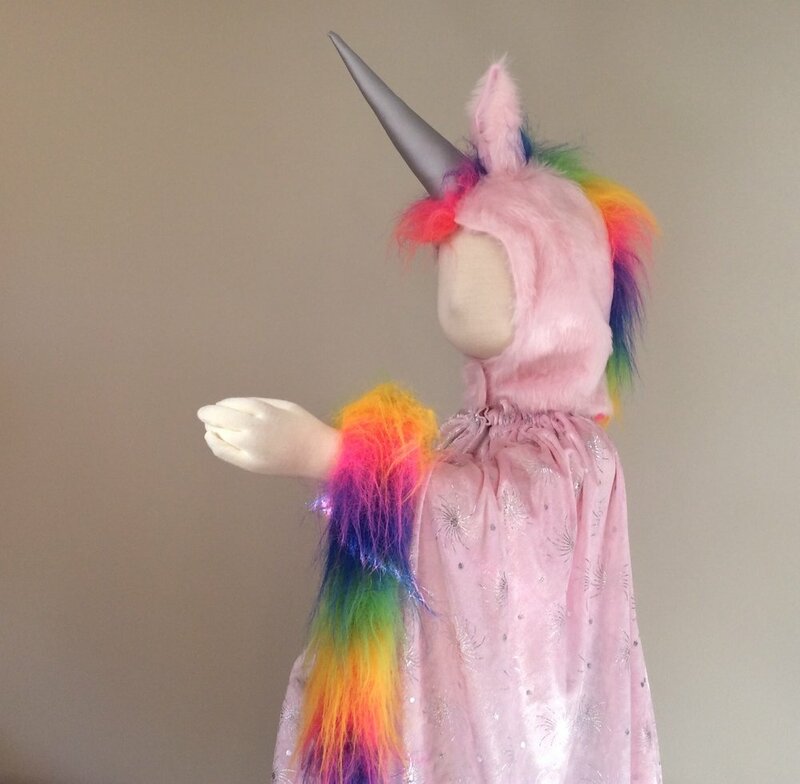 Or you could have a pink bod with rainbow tail attached, $74 for hood and bod. Also available in hot orange with rainbow mane, or soft pink like this one, but with snow white mane and tail.